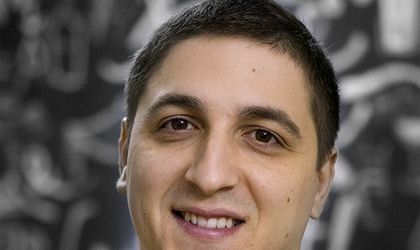 Adrian Enache has launched OmniPerform, a business that focuses on the omnichannel consultancy, process and algorithms of neuro-marketing and digital campaigns. The initial investment in the technology and agency is estimated at around EUR 100,000. “I will continue to invest in digital and in campaigns run in the digital field towards the offline. My effort will be focused exclusively on omnichannel,” said Adrian Enache, founder and CEO of OmniPerform. OmniPerform will provide the following services: communication campaigns in digital, inbound and outbound marketing campaigns, the growth of the conversion rate, omnichannel and e-commerce consultancy and development, performance media and PPC campaigns, media buying, planning and reporting, loyalty and CRM campaigns, digital asset development (from websites to campaigns and applications), user experience, user interface and web design. The agency proposed itself to train at least 2,000 specialists, managers and future employees, in order to align and make as transparent as possible the actions of the online and media agencies. This will help the managers in taking the right business decisions. The digital advertising agency OmniPerform was founded in February 2017. The company offers through a group of 20 employees and external collaborators omnichannel, digital and media services.